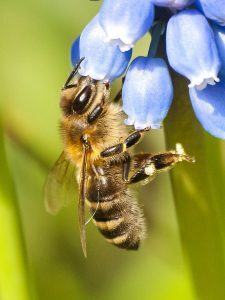 On March 10, 2018, the Northern Kentucky Beekeepers Association (NKYBA) will host an intermediate beekeeping school at the Boone County Extension Office Enrichment Center, lower level, 6028 Camp Ernst Rd., Burlington KY 41005. This school will cover more advanced topics. Check-in begins at 8:30 am. Classes will last from 9:00a.m. to 4:30 p.m. EST. Former KY State Apiarist, PhilCraft, will be the speaker. Cost is $15 for members, $20 for non-members, and $5 for children 12 and under. Lunch is included and there will be a Q&A during lunch. Registration and school details will be posted on at http://www.nkybeekeepers.com and at www.facebook.com/nkybeekeepersassociation.